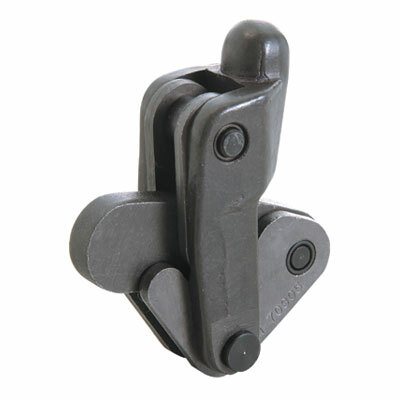 For over 35 years, we've served our valued, worldwide customers by providing clamps that are built to suit a wide variety of industrial and OEM applications. 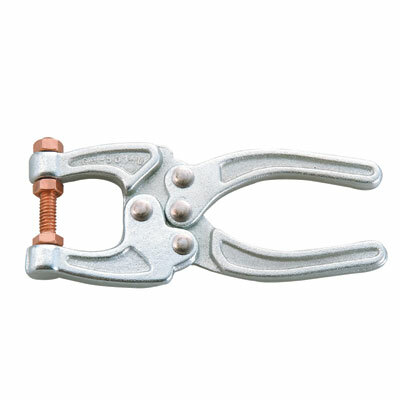 Whether you need a clamp to push, pull, hold down, lock, position, or tighten, we'll either help you find exactly what you need from our standard off-the-shelf clamps, or we'll custom-build a clamp to perfectly suit your application. 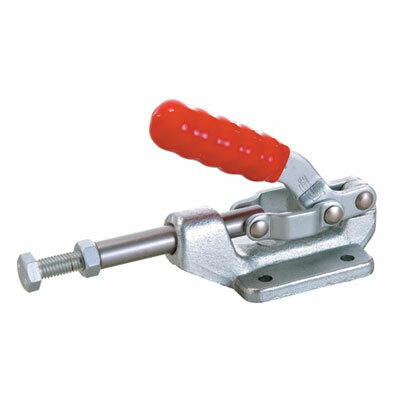 All die-stamped steel parts are deburred, cleaned, and zinc-plated for a finish that resists corrosion and creates a smooth, easy to clean surface. 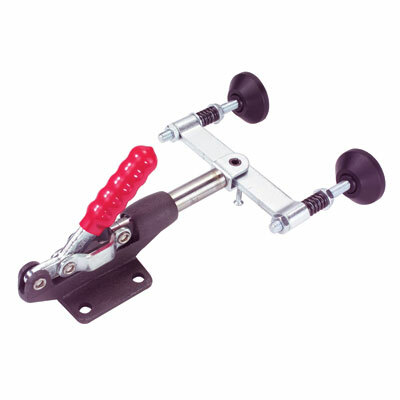 Hand grips are covered with an oil and stain resistent red vinyl or red plastic for easy identification and to assure the safety and comfort of the operator. 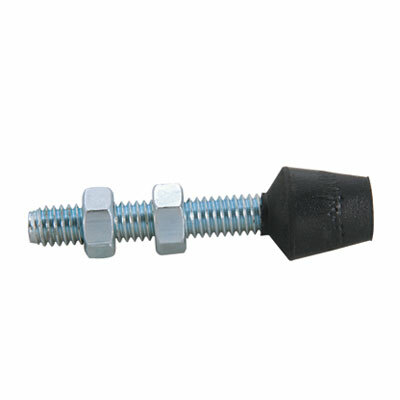 Heavy duty rivets are used to maintain accuracy and to increase endurance. 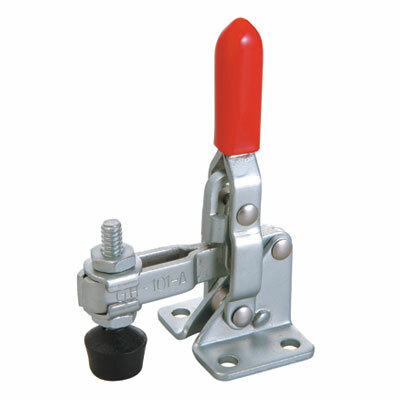 All heavy-duty clamps receive hardened ground pins and bushings. 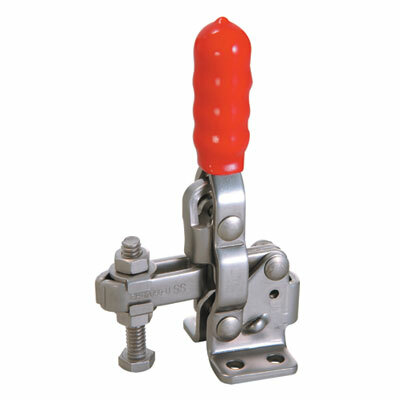 The theoretical maximum holding of clamping force of a toggle action device is achieved when the three pivot points are in a straight line. 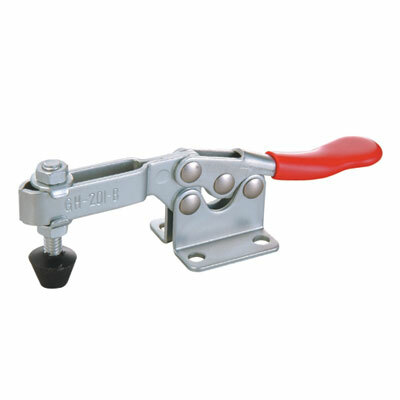 To make allowance for external forces due to vibration and changing load conditions in industrial use, the proper amount of over travel of the center pivot point has been carefully calculated to yield maximum clamping pressure, while achieving a positive locking position. 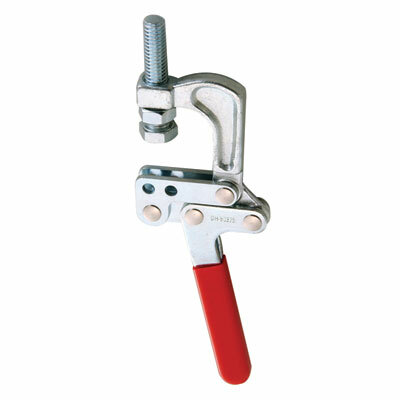 All GOOD HAND™ clamps are rated by their "holding capacity." 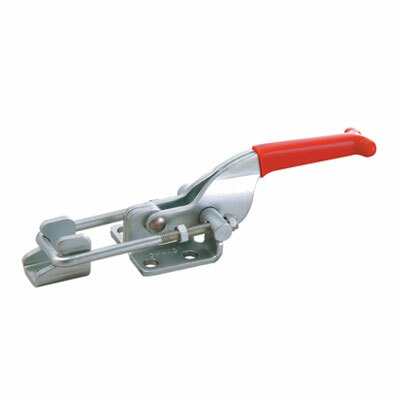 This rating is the maximum force the clamp will support when locked in the closed position without creating permanent deformation. 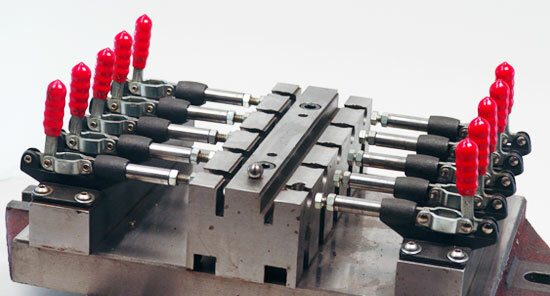 This force is measured at a point closest to the base and diminishes as the end of the bar is reached. 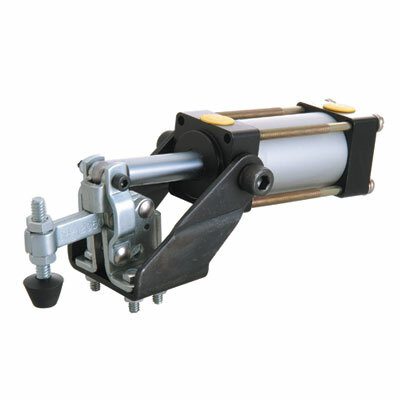 The "clamping force" is defined as the actual force being applied by the clamp to the workpiece. 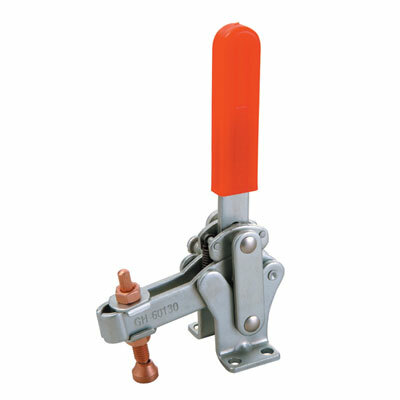 This rating is not constant due to such variables as the location of force on the handle, the amount of force the operator applies, and the location of the spindle on the hold-down bar.